Learn everything essential about FromSoftware’s newest action adventure title before launch. 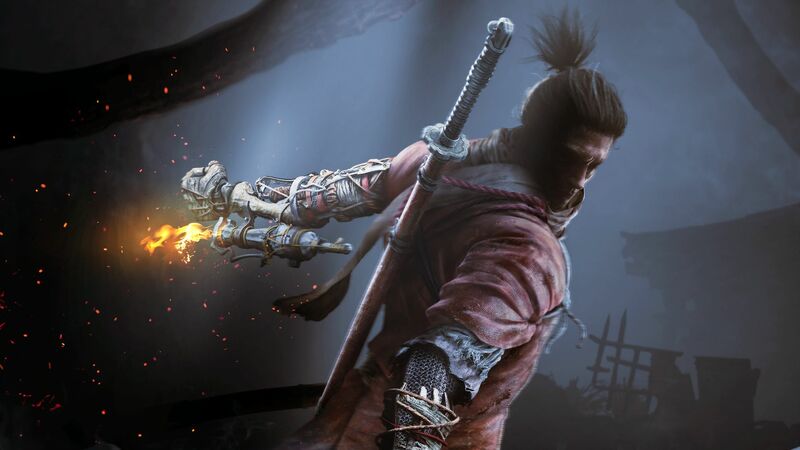 FromSoftware’s Sekiro: Shadows Die Twice will release this week, with reviews going live on March 21st. To that end, a new gameplay overview trailer discusses everything you need to know about the game. This includes the story, characters, combat, and much more. Players assume the role of the Wolf, who was taken in by his lord and moulded into a shinobi. While on a mission to protect his young lord, our hero runs afoul of the Ashina clan. The young lord is kidnapped, the Wolf’s left arm is severed, and thus begins the journey for payback. Fortunately, players won’t be fighting empty-handed (pun intended). The Wolf gains a new prosthetic arm full of shinobi tools, including a grappling hook to take to the high ground, an axe for breaking through shields, and much more. Most intriguing is the Resurrection mechanic though, as players can come back to life after dying once. There are consequences to these actions though. Sekiro: Shadows Die Twice is out on March 22nd for Xbox One, PS4, and PC.